DEBATE: The climate agreement in Paris assumed increased consumption of fossil fuels during this entire century and five times as much nuclear energy as currently to allow economic growth to continue. This is unrealistic when access to coal, oil and natural gas will be insufficient, writes Kjell Aleklett, Professor Emeritus of Uppsala University at Global Energy Systems in the Institute for Geoscience. The Paris Agreement on climate requires that we decrease our emissions of carbon dioxide from oil, coal and natural gas but also requires that the carbon dioxide we produce will be captured and stored underground. In the agreement, the carbon that has been captured and stored underground is referred to as “negative emissions”. The technique that is primarily referred to in the agreement is Carbon Capture and Storage (CCS). In addition to the carbon dioxide from fossil fuels that is to be captured and stored, we are also to capture and store the carbon dioxide from bioenergy, BECCS. 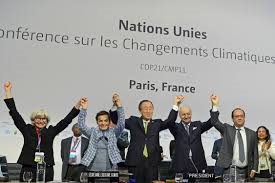 An important basis of the Paris Agreement was the acceptance by the UN’s Intergovernmental Panel on Climate Change, IPCC, of the climate scenario RCP2.6. This scenario permits future economic growth by more than doubling energy use by the year 2100 at the same time as we reduce emissions. Use of fossil fuels will not decrease but by use of negative emission strategies we can reduce carbon dioxide release. The volumes of carbon dioxide to be stored underground were not described in detail. If the largely untested CCS technique fails then in 2050 we will see either of two alternatives; we will have failed to reduce emissions of carbon dioxide to a level that constrains the temperature increase to less than 2 °C, or we will have insufficient available energy for economic growth for the world’s 10 billion inhabitants. In the year 2000, the IPCC published 40 climate scenarios representing temperature increases of up to 6 °C. In 2009, the Global Energy Systems research group at Uppsala University showed in a report that the scenarios resulting in the greatest temperature increases required more fossil fuel than have been reported to exist as reserves. One of these scenarios was “IMAGE 2.4 B2”. This scenario required that, by the end of this century, we would be using coal at five times today’s rate. The coal reserves to permit such high consumption rates do not exist. The old IMAGE 2.4 B2 scenario was subsequently reworked to produce the current RCP2.6 scenario but RCP2.6 retains this unrealistic rate of coal use. Few people realize that the RCP2.6 scenario that forms the basis for the Paris Agreement actually uses more fossil energy in the year 2100 than we use today. The scientific description of RCP2.6 exists in an article in the journal Climactic Change titled, RCP2.6: exploring the possibility to keep global mean temperature increase below 2 °C. Unfortunately, the significant data needed to analyse this scenario is only presented as a diagram rather than in a table. However, by using a program that digitalizes images we have been able to obtain the data required to make a detailed analysis of the scenario. The lead author of the article is Detlef P. van Vuuren and when we asked him directly whether he had considered our own research showing that the fossil fuel required for the scenario does not exist he answered that, “it is correct that we did not cite that work”. We regret that the IPCC also chose not to cite our research in its Fifth Assessment Report. In van Vuuren’s RCP2.6 article the rate of energy use is shown increasing until the end of this century when it would be double that of today. Many people would be amazed to know that this means increasing fossil fuel use during this century and that use of nuclear energy is also expected to increase five-fold. It is “negative emissions” technologies that are to permit increased fossil fuel use while seeing actual emissions of carbon dioxide fall. The diagram shown here summarises the fossil fuel use of scenario RCP2.6 during this century. The reduction of oil production is in line with what we project as possible in our book [in Swedish] A World Addicted to Oil. This reduction means that transition to alternative fuels for our motor vehicles is a must. Global production of coal has now plateaued and is expected to fall in future. This means that the increase in fossil fuel use envisaged in RCP2.6 is unrealistic. To increase global natural gas use by the amount shown in the diagram is also unrealistic. Scenario RCP2.6 requires that we mine as much coal as possible, but also that we capture the carbon dioxide produced by burning it and then pump it underground. This means that the installation for CCS built by Vattenfall in Germany was completely in line with the agreement that Sweden signed in Paris. If President Trump supports coal mining and CCS then that is also in line with the Paris Agreement. The fact that there is not sufficient fossil fuel to support the scenario underlying the Paris Agreement will have serious consequences for our future economy. The global rate of production of conventional oil reached a maximum in 2007 and it has been production from unconventional oil sources such as the oil sands and from fracking that has delayed a decline in total oil production by some years. Production of coal and also natural gas will also reach their maximal rates (“peaks”). Peak Oil, Peak Coal and Peak Gas are good news for the climate, but if we are to have economic growth in future then we will need a 100% focus on renewable energy sources. The negative emissions that are written into the Paris Agreement cannot be part of our energy future. Greater investment in renewable energy is required. The figure below: This diagram shows fossil fuel use during this century under the 2 °C scenario RCP2.6. Negative emissions are carbon dioxide captured after the burning of fossil fuels and stored underground using CCS technology. ← Why is not Saudi Arabia on the Trump’s executive order on immigration? Have you looked into published scenarios that considers geological limitations in fossil fuel, CCS limitations, global warming as well as population and economical growths. I guess the Stern report did that to some extent as well as the EIA 450 scenario? Were the IPCC emission scenarios really important for the decisions in Paris? Did they really discuss CCS or not just reduction i CO2 emissions? This is plain wrong. There’s enormous amounts of coal out there and it will easily be able to fulfil IPCCs worst scenarios. Also, there’s frightening amounts of oil and gas being unlocked by innovation in recovery tech. Saying otherwise is wrong and dangerous, as it might feed complacency. Also, nuclear power is a far better option than renewables. I’m thankful if you can give me the reference. Al the reserves reported is not enough. Sure you can have references. EIA has the world proven reserves at around 1 trillion short ton, of which the US has a fourth. However, at the same time, they estimate the total coal resources, including undiscovered coal, in the US alone at 4 trillion short tons! Current global coal consumption is only 4 billion short tons, which means US coal ALONE could power the ENTIRE world at the current rate for 1000 years, or sustain a 5x higher global rate for 200 years. I’m simply astonished that you seem to make the basic mistake of believing that proven reserves are all there is. We’ve had “only 30 years of copper left” for a hundred years or more, during which time we’ve expanded annual copper production many times over. You’ve devoted your life to these things. Isn’t it time to connect the dots? I’m realising now that I used the tons of oil equivalent stat for the world consumption. That was wrong, so the consumption rate in short tons is over 2 times that. But that doesn’t change the conclusion at all – there’s abundant coal. 5 times the current rate is no problem to sustain for many hundreds of years, from a resource availability perspective. The agreement does not specifically mention CCS as a sink of greenhouse gases in the second half of this century and has no reference to RCP 2.6, but I guess that is what the authors of the agreement had in mind. It would be interesting if the responsible minister would comment your article. I guess the comment will be that Sweden does not have any plans to apply CCS but has the option to do so in the future if necessary. I can tell you that we have a research group at Uppsala University, Department of Earth Sciences, that do research on CCS. Enligt Rockström verkar det svårt för att inte säga omöjligt nå klimatmålen från Paris även med massiv CCS.